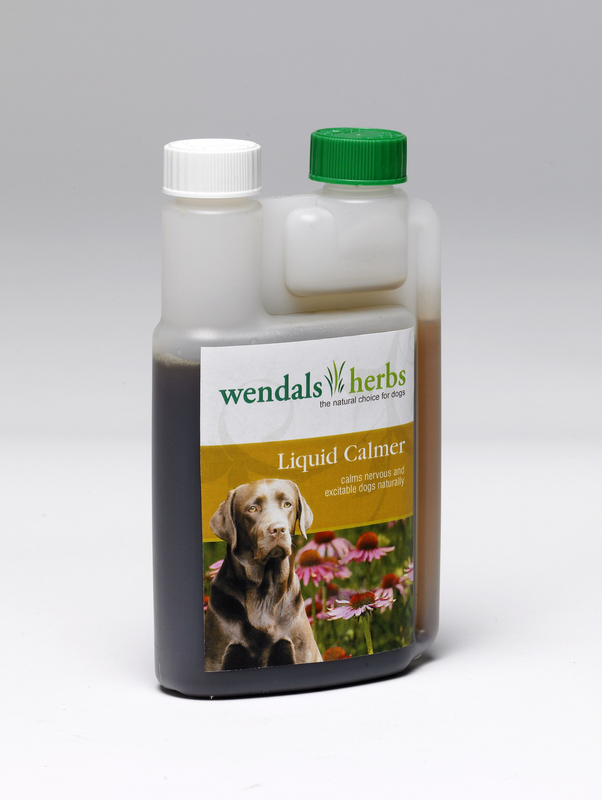 Same great formula but in an easy to digest, palatable liquid form, Wendals Liquid Dog Calmer is a specially blended mix of carefully selected herbs which combine Chamomile, Valerian and Hops along with five others. It should be fed to anxious, nervous, highly-strung or over-excitable dogs to improve general calmness and reduce undesirable behavioural traits. Below are some recent questions we've received regarding Wendals Liquid Dog Calmer, including answers from our team. My dog absolutely hates her face being clipped at the groomers. Would this product help? Possibly is the best answer. There are lots of different calming products sold for dogs and we generally find that all of them can work for some dogs, but none of them is effective for every dog in every situation. You will only know if you try it. However I would say that some dogs are so stressed by some things that they are beyond help if you want something to work straight away for an occasional procedure. These products probably do help but are not potent enough by themselves to completely transform a panic-stricken dog. Ideally you should use them to try and help with gradually training your dog to accept its face being touched and "fiddled" with. Most dogs can slowly learn that this is no big deal and to accept it without fear, but it can be a long, slow process best guided by a good dog trainer or behaviourist.